Step by step build process of my paludarium The Billabong. Includes footage of the inhabitants. Spotted Blue Eyes and Threadfin Rainbowfish native to FNQld and New Guinea.. also a capture of a Green Tree Frog in action catching crickets in Slow Motion. The spectacular New Guinea Rainbow, M. affinis (Pagwi) on display in aquarium. Next meeting: Lungfish Research and Edgbaston Reserve. The next ANGFA Queensland meeting is on Friday, August 8 at 7:30. 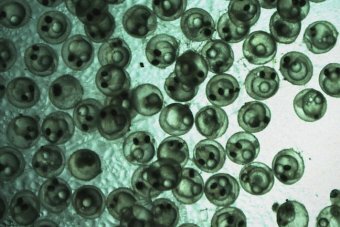 This meeting we'll have a presentation from David Roberts of Seqwater with an update on the latest lungfish research and management work he's been involved with. We'll also have a slide show from our secretary who recently had the opportunity to visit Edgbaston Reserve with a crew from Bush Heritage Australia. If you’re not a member please feel free to come and have a look, you can join on the night if you're interested. The club shop with dry goods, supplies, new photo tanks and hopefully new nets will be open, as will the drinks stand. There’ll be an auction after the talks where anyone can buy, though you must be a member to register as a seller. The next ANGFA Qld meeting is at the Bar Jai hall – 178 Alexandra Road, Clayfield. Friday night 8/8/2014 starting at 7:30 pm sharp! A RARE tropical fish never seen in Australian waters has been collected from the depths of the Coral Sea to be sold to an overseas aquarium. 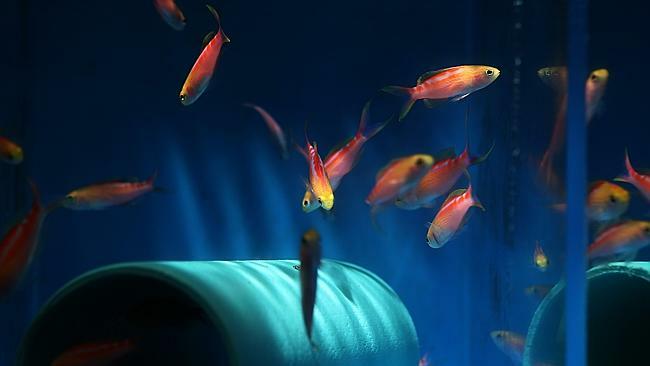 Far North-based aquarium collectors Cairns Marine discovered a school of golden anthias at a depth of 60m during an expedition last week at Holmes Reef, about 240km east of Cairns. 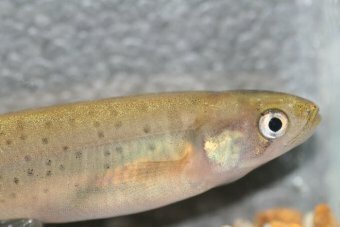 The colourful fish are typically known from the Central Pacific, extending south of Hawaii. They are regarded within the aquarium world as the perfect coral reef display fish, however they are difficult to come by in the wild due to their deep-water nature. Cairns Marine is Australia’s largest supplier of marine life for display, supplying retail outlets, international wholesalers and public aquariums. It is one of two aquarium companies in Australia that is licensed to collect some species within the Coral Sea. Cairns Marine’s Fenton Walsh said one of the company’s divers, using a rebreather apparatus, was able to recognise the large school of thousands of golden anthias and act quickly enough to catch about 70 individuals. “It takes a pretty keen eye. There wouldn’t be too many people who would have spotted it,’’ he said. “The average person would just say it’s just another pretty fish swimming around. 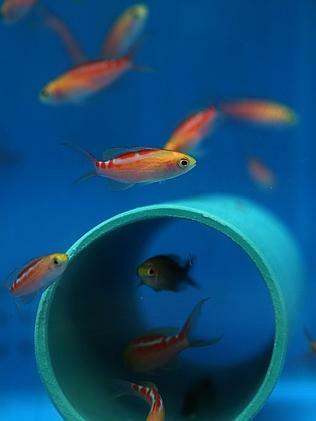 The company’s sales and logistics manager Julian Baggio said some anthias would be sold in Japan, while others were destined for retailers across Australia. 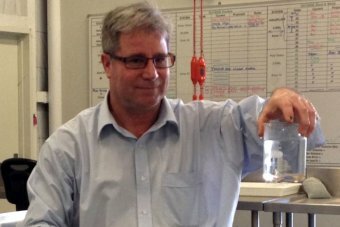 “We’re also taking some to a large aquarium trade show in Germany later next month,’’ he said.